Ever had bad experience with someone that does not know how to properly prune shrubs? Maybe they killed your rhododendrons. Or maybe they pruned your lilacs right before they were about to bloom. Believe us, these are just a glimpse of the stories we hear from new customers. You never have to worry about any of these horror stories when allowing the Greener Blade to take care of your landscape. We are fully trained in pruning shrubs. 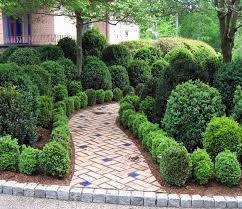 We know how to properly maintain all the varieties of shrubs that grow in Minnesota and have professional experience doing so. Whether you want specific shrubs cut back for rejuvenated growth, or you want a hedgerow shaped, you can trust us to do the job right the first time.